China was born on the banks of the Yellow River, where the silt-laden water, rich alluvial soil, and the harvested wheat all share the same yellow hue. This is China’s breadbasket where buns, dumplings, and noodles, rather than rice, are standard fare. But the fertile Yellow Land is vulnerable to droughts and floods, as well as jealous invaders. Since ancient times, its inhabitants have turned to a strong central government to keep them safe behind high walls and embankments. In ancient times, the emperor’s yellow robes symbolized his absolute command over the natural forces—earth, water, grain—that ensure life. Ruling the Yellow Land is a delicate balancing act. 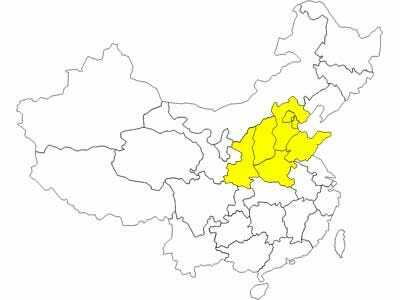 On its own, the Yellow Land would rank as the second most populous nation on earth, with more people than the United States packed into less than one tenth the territory. Its resources, while plentiful, are stretched to the limit. The Yellow Land produces huge quantities of basic staples like wheat, cotton, and peanuts, but is rapidly running short of water. It has rich energy reserves, but over-dependence on coal accounts for some of the world’s worst air pollution. One resource this “nation” never lacks is clout. For most of China’s history, the Yellow Land has been the centre of political power. It can attract talent on a massive scale, giving it immense influence. China’s leaders hope these advantages can turn Beijing into a high-tech research hub and transform a select handful of state-sponsored companies like Lenovo and Haier into “national champions” that can dominate global markets. But the heavy hand of the government can be stifling here. Can the Yellow Land leverage its power to open up new opportunities? Or will a region that fears innovation inevitably fall behind?